Nanomaterial or nanostructured materials are characterised into nanocomposite, nanofoam, nanoporous material and nanocrystalline materials depending on the phases of matter. The inorganic nanomaterials such as nanowires, nanorods, quantum dots are used in optoelectronics because of their optical and electrical properties that depend on their size and shape. These nanomaterials are potentially used in organic materials based optoelectronic devices which find its application in Organic solar cells, OLEDs etc. The functioning of these devices is ruled by photo induced processes such as electron transfer and energy transfer. 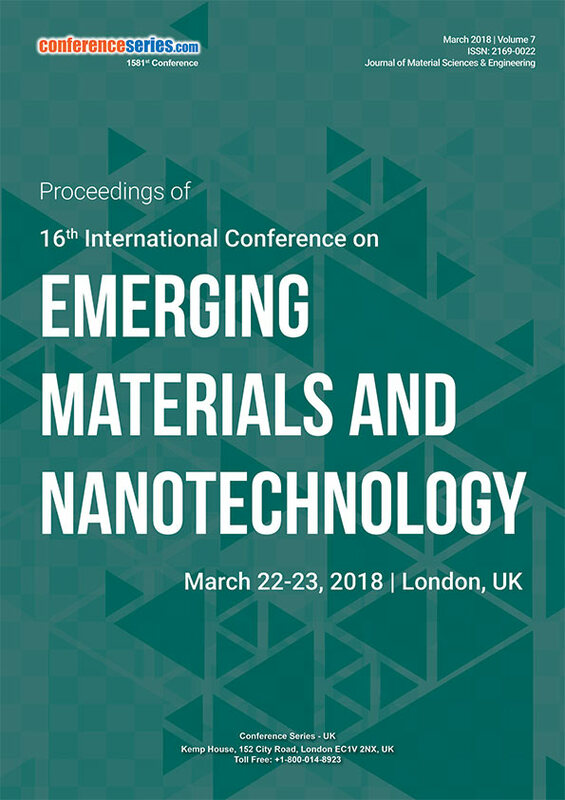 Hence it is necessary to have enhanced understanding of photoinduced processes in organic/inorganic nanomaterial composite for their application in optoelectronic devices. Nanoparticles is also been used as chemical catalyst which are very good adsorbents. Nanofabrication is a significant subfield of nanotechnology associated with energy. The method of producing and designing devices at nanoscale is called as Nanofabrication. The nanofabricated devices help in capturing, storing and transfer of energy in a better way to meet the existing energy technologies, thus utilized in the development of consumer products. The benefits include increased heating and lightning efficiency, improved electrical storage capacity and reduction in pollution which enables the capital investment in the nanotechnology research. Hydrogen which is simple, abundant, zero-emission fuel in the earth is used as an energy carrier for broad range of application. Under normal temperature and pressure hydrogen is colorless, nontoxic, non-metallic and combustible gas and could be used as a substitute to fossil and liquid fuels. Hydrogen energy have been potentially used in cars, houses, mobile power, to launch satellite vehicles, industries, in telecom tower for power back up, to produce electricity, internal combustion engines and many more applications. Hydrogen is produced from numerous resources such as natural gas, coal (carbon sequestration), nuclear energy, and biomass, solar, hydro-electric power and geothermal by varied processes. Hydrogen originates from several organic compounds, particularly hydrocarbons which are used to make other fuel such as natural gas, gasoline, methanol and propane. Hydrogen is being separated from hydrocarbons by the process of reforming, electrolysis. Water splitting, one of the electrochemical processes is the more significant research area. Pure form of hydrogen has its capability to operate fuel cell in zero- emission electric vehicles. The future of hydrogen is to join electricity as a significant energy carrier and can be transported to necessary location. Polymeric materials are vital for the future electronic devices and flexible electronic applications. The research based on the electronic, structural and chemical properties of polymeric materials are widely used in the applications of microelectronics and low cost solar materials. Their applications include lithium-ion polymer battery (LiPo), electro active polymers, polymeric surface, Crystallization of polymers, cationic & plasma polymerization, polymer brush etc... In recent times, self-healing materials industrialized for energy harvesting and storage are all polymer‐based materials. Those self-healing Energy Harvesting Devices include nanogenerators, Photovoltaics, solar cells, supercapacitors and lithium batteries. Recently lightweight composite material is discovered for energy storage in flexible electronics, electric vehicles and aerospace applications. 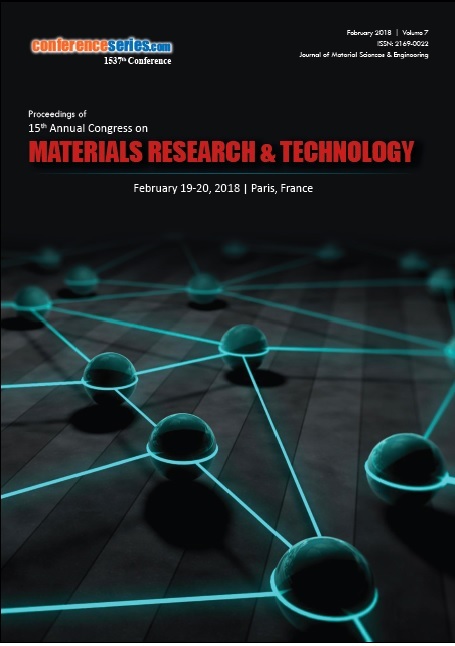 Crystalline porous materials is the trending research area in the field of proton conducting materials that includes Coordination polymers (CPs), polyoxometalates (POMs), covalent organic frameworks (COFs) and metal–organic frameworks (MOFs). Among those are two major evolving and developing families of crystalline porous materials, Covalent-organic frameworks (COFs) and Metal–organic frameworks (MOFs). 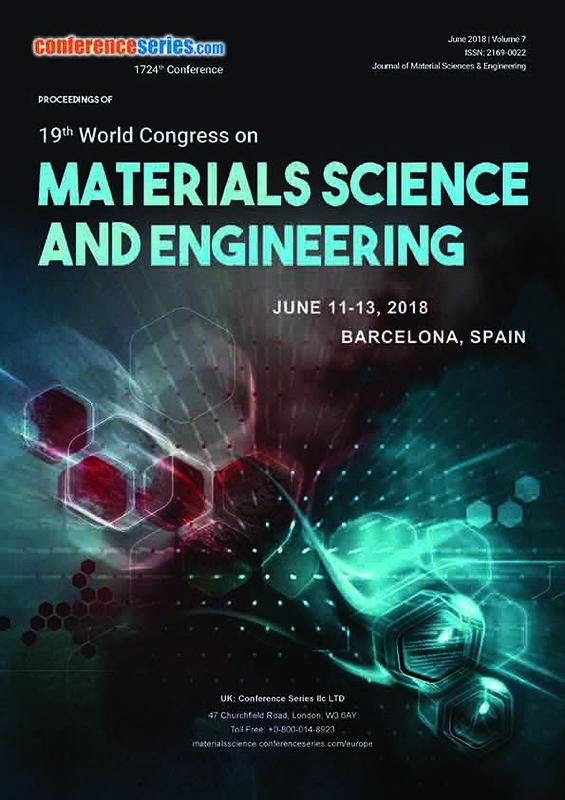 These materials are categorized by their extreme porosity, wonderful structural density and flexible functional tenability at molecular level which find its application in batteries, supercapacitors and electrochemical energy storage devices. The crystalinity of materials offers stability for the electrochemical treatment and porosity (high surface area) helps in diffusion of electrolytes and mobility of ions. The materials for catalysis and energy with electrochemical properties are appropriately used in energy storage applications such as batteries and electro catalysts. Metal nanoparticles are also widely explored heterogeneous catalysis. The size of these metal nanostructures manipulates the activity of catalysis. The novel energy research approaches to overcome the usage of fossil fuels is to develop chemical energy storage of renewable energy. 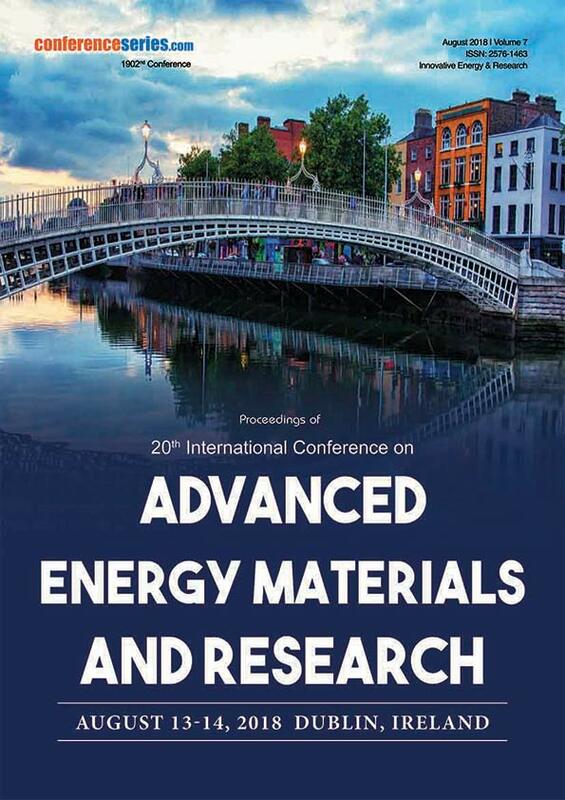 Materials with emerging energy technologies such as super capacitors, renewable energy sources, thermoelectric devices, photovoltaic cells, piezoelectric, ferroelectric materials will be sustainable to withstand the global energy demand. The Single- atom catalyst (SACs) which has single metal atom attached on support has low particle size with increased free energy. The suitable interaction with other isolated atoms creates stable active sites with high selectivity. With increasing energy demand, world’s energy supply is likely to drop in the near future due to the declining fossil fuel feed stocks hence science and technology have to find alternative resources for the production of fuels. Currently, biomass and food waste is considered as the renewable feedstock for the production of chemicals and fuels in Europe. These renewable materials are utilized for the production of biopolymers, bioplastics and bioethanol. Biomolecules such as peptides and proteins are under research to create new nanomaterials to enhance the efficiency of photovoltaic such as solar cells and other electronic devices. Bioproteins power can also be harnessed for non-biological materials applications. Biomaterials have also been used as electrode materials in rechargeable lithium batteries. The nanostructure of these materials improves their electrochemical activity, thus enhance the battery performance. 2D materials (2D allotropes of several elements or compounds) also mentioned as single layer materials are crystalline in nature containing single layer of atoms. These materials find its application in semiconductors, electrodes, water purification and photovoltaic. Graphene, the global first 2-D carbon material also called as “wonder material” is a transparent material with one atom thick sheet. Graphene shows unique properties such as high efficient electrical conductivity, thermal conductivity, and current density are hundred times stronger than steel. It is the most ideal material for applications such as extremely strong composite materials, flexible displays and nano-transistors. The worldwide graphene market is predictable to range USD 278.47 Million by 2020, with a development of 42.8% from 2015 to 2020 in electronic devices, composite materials, semiconductor materials and battery technologies. Graphene based composite materials are available for commercial purpose in tennis rackets, bikes and skis. The projecting energy associated areas where graphene will have an effect is sun powered solar cells, supercapacitors, catalysis and lithium-particle batteries. Battery is an electric device comprises of one or more electrochemical cells uses external electric connections to power the electrical devices such as smartphones, flashlights and electric cars. There are two types of batteries, primary and secondary. The former type of batteries are used once and discarded, while the later type can be discharged and recharged several times. Batteries convert chemical energy directly to electrical energy that consists of some number of voltaic cells. The voltage established across a cell's terminals is subject to the energy release of the chemical reactions of its electrodes and electrolyte. Solid-state battery was invented in 2017 by John Goodenough where both the elctrodes and electrolyte are in solid state. Solid electrolytes also termed as superionics are materials that reveals high values of ionic conductivity and is widely studied materials for solid state batteries, gas sensors, fuel cells, batteries and electrochromic devices. Solid electrolytes are the potential materials to replace organic electrolytes that are flammable and toxic.This new type of battery is “three times energy denser”, safer, faster charging and used for longer lasting rechargeable batteries such as mobile devices, stationary energy storage and electric vehicles. Photovoltaic (PV) cells are devices that engross light and convert directly into electricity (e.g., solar cell). PV cell is categorized into three main types inorganic, organic and photoelectrochemical. Inorganic PV cells are commercially available as mono-crystalline, multi-crystaline and amorphous. The Industrial batteries market for end-user industry is expected to reach USD 10.84 Billion by 2021, at a CAGR of 6.5% between 2016 and 2021. The advancement in the market can be primarily due to the increasing demand from the locomotive sector, development in renewable energy sector, enlarged recycling efficiency of lead-acid and lithium-based industrial batteries, and greater performance of industrial batteries in terms of energy density. Optical materials and coatings play a significant role in defining the effectiveness of solar conversion processes. The coating materials for optical devices are under research development. Few of the coating materials currently in use are heat mirrors, reflector materials, selective absorbers, fluorescent concentrator materials, cold mirrors, holographic films, optical switching films, radiative cooling surfaces and transparent insulation materials. These materials help in improving the novelty of solar energy conversion, energy-efficient windows, photovoltaic, and other hybrid designs. The functioning of electronic devices is efficiently controlled by switching devices. The innovation in electronic and photonic nanomaterials will results in the advancement of computing devices and solid-state lightning. Existing research comprises of organic semiconductors, thin films, nanostructures and bulk crystal growth. The silicon carbide semiconductor market is projected to raise $3182.89 Million by 2020, at an estimated CAGR of 42.03%. Magnetized materials are termed as ferromagnetic materials that comprises of cobalt, iron, nickel, alloys and rare earth elements. These ferromagnetic materials find its application in medicine as contrasting agent for MRI scans. Energy harvesting or scavenging is the process of capturing small amounts of energy which would be lost in the form of heat, light, sound, vibration and the stored energy is used to improve the efficiency for wireless sensor network, wearable electronics and automotive devices. These materials are capable of replacing batteries for small, low power electronic devices and are environmentally friendly. The waste energy can be harvested by different materials. Thermoelectric and pyroelectric materials help in capturing heat and are transformed into electric power. The vibration, movement and sound are captured by piezoelectric materials that are transformed into electric power. Initially, thermoelectric materials are limited due to small conversion efficiency, but the occurrence of nanostructured thermoelectric materials led to significant development in enhancing thermoelectric properties. The pyroelectric effect is being used in sensors.